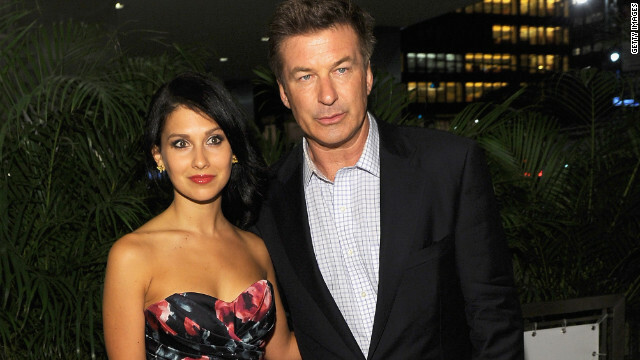 Alec Baldwin is set to tie the knot with Hilaria Thomas this Saturday, June 30. An early congrats to the couple! Usher has been granted a temporary restraining order against a woman named Darshelle Jones Rakestraw - a reported fan who seems to think she's his wife. If you're hooked on "Dallas," then fantastic news: TBS has renewed the show for a second season. While you can't exactly call the impending divorce for Tom Cruise and Katie Holmes a "surprising" celebrity breakup - just going by the rate of divorces in Hollywood alone - a lot of you are nonetheless curious as to what put the nail in the coffin of this marriage, and what will happen next. As for the latter question, rumors are flying that Holmes is seeking sole custody of the couple's daughter together, 6-year-old Suri. You might recognize Jason Ritter’s face from a lot of movies and TV shows without even realizing it. 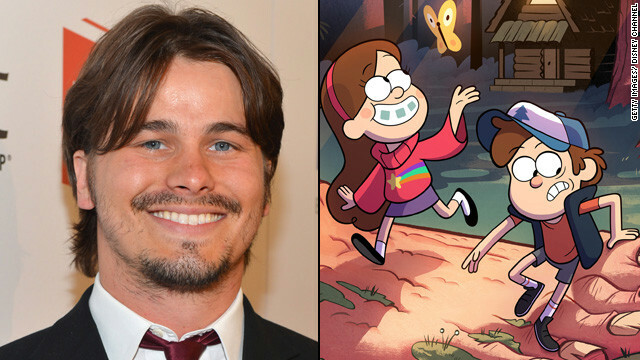 But Ritter’s latest role, in the Disney Channel's comedy-adventure series, “Gravity Falls,” has him in a completely different environment. 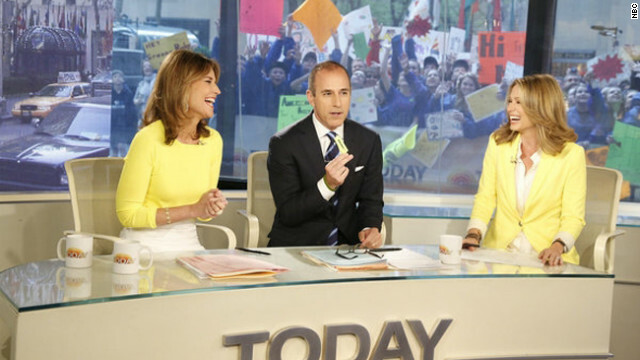 NBC has made it official: After having Savannah Guthrie sit in Ann Curry's former spot Friday morning on "Today," the network has officially signed Guthrie on as the morning show's new co-anchor, along with Matt Lauer. Guthrie, who joined "Today" in 2011 as a host during the 9 a.m. hour and also serves as the chief legal analyst, will make her official debut alongside Lauer, Al Roker and Natalie Morales on July 9, the network said Friday. This is one baby who'll get to hear some fantastic lullabies. Powerhouse vocalist Adele has announced that she's expecting her first child with her boyfriend Simon Konecki, with a short and simple post on her blog. One of Hollywood's most talked-about couples has come to an end. Tom Cruise and Katie Holmes are getting a divorce after five years of marriage, Cruise's attorney tells CNN.